Atsushi Saito (formally at Merivale) is the main chef at @! which explains why the food is so good. 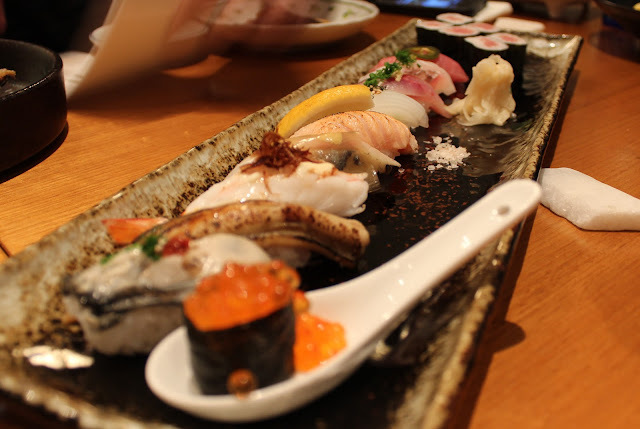 Crows Nest, Neutral Bay and the North Shore is the home to authentic Japanese. It's where you find the real deal. My addicted friend also tells me that you can customise your own handrolls here. The thought of customised and authentic Japanese gave my body a rush of excitement.. *rubs hands to get ready* It was time to eat ALL the sushi, buhahahaha! The sushi set was really pretty. All my mind could say was ooohhh and ahhhh as soon as it was placed on the table. As pretty as it was, it was such a pain to take a photo of the whole thing, that was the bit that hurt me the most. So after waiting about a million minutes for people to finish taking their photos (myself inclusive) it was time to dine. One of my favourites would have to be the salmon belly. It was the first time I had tried salmon belly but mannnnnn, it was so good! As soon as you placed it into your mouth, it just melted. I secretly just wanted to be left alone in those few minutes so I could close my eyes and go 'mmmmmmmmmmm'. It was also difficult to choose which one to have next. I have way too many first world problems lol. Honestly, I could of just smashed out every single sushi that was on that plate. It might of been an expensive dinner but hey, money can't buy you happiness right? Plus sushi is healthy LOL. All the things we ordered were so nomlicious. The karrage chicken was well fried and the mayo always tops it off. It was a good batch of karrage but nothing special. Though with that said, it is a bit hard to get karrage 'wrong' but how cute was the presentation of it! The Kingfish Kama was very well made. The flavours were well balanced but best of all was there was a hint of salt on the skin. When situations like such happens, all it makes me want to do is lick every single part of that fish and wish for that moment of happiness to never end. You know the saying where you learn something every day? Well if you haven't learnt anything yet, you may soon enough. Did you know that Bonito is actually part of the Tuna family? I had no idea. Anyways onto more important matters, besides smashing out the first plate of sushi, I also could of continue to devour this whole plate of bonito. It was fresh and the meat was silky. Mmmmmmmm I want to eat everything at @! again and again. Finally to finish off the night, one would usually order dessert but for me, I finished it off with some handrolls. The rolls were definitely learning towards the expensive side of things but they were so well made. It was all tucked in properly and no rice came falling out so you didn't have to do the grubby deed and pick up bits and pieces of rice and toppings from your place. There was also a generous amount of meat in these rolls. A lot of the Japanese restaurants across the Bridge are beyond decent and they aren't like your average Japanese cafes or restaurants you find in the heart of Sydney. That being said, these places aren't cheap and you might find you may end up paying twice the amount that you would normally pay for in the CBD. 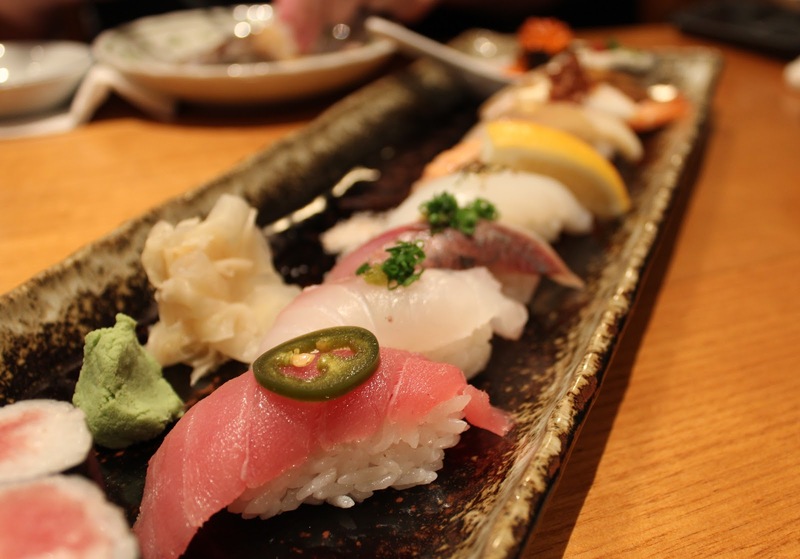 If you want authentic Japanese, it comes at a price but basically at the end of the day, you get what you pay for. This is on my list of places to try, having seen the tweets by Adam. Sushi set looks beautiful. Looks pretty good - this has been on my list for quite some time as well haha all thanks to Adam's tweets. scallop w/ spicy mayo sounds so good! Oh my that Bonito Tataki looks like it's to die for!!! I love sushi that is made well - I absolutely dislike it when you have to pick up bits of rice at the end, and I don't like wasting rice! Did you go there for a special occasion? I want it all in my belly.. right naowwww! I'm just glad most people don't care about the Kingfish Kama (jaw/neck) because it's amazing. Super amazing. 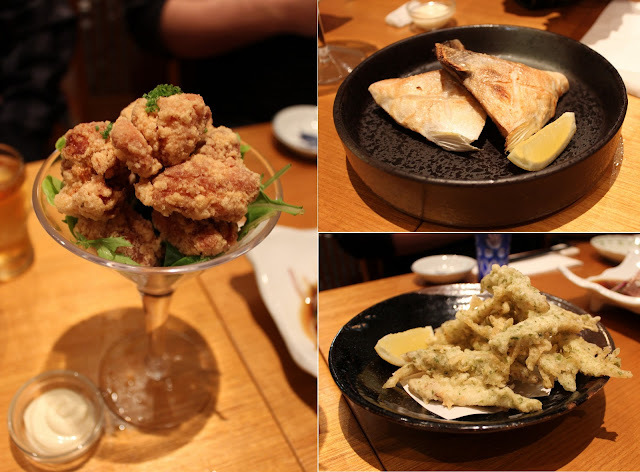 There are at least 5 Japanese restaurants that I think are pretty good in Crows Nest and it must be one of the most competitive hotspots for Japanese in town. 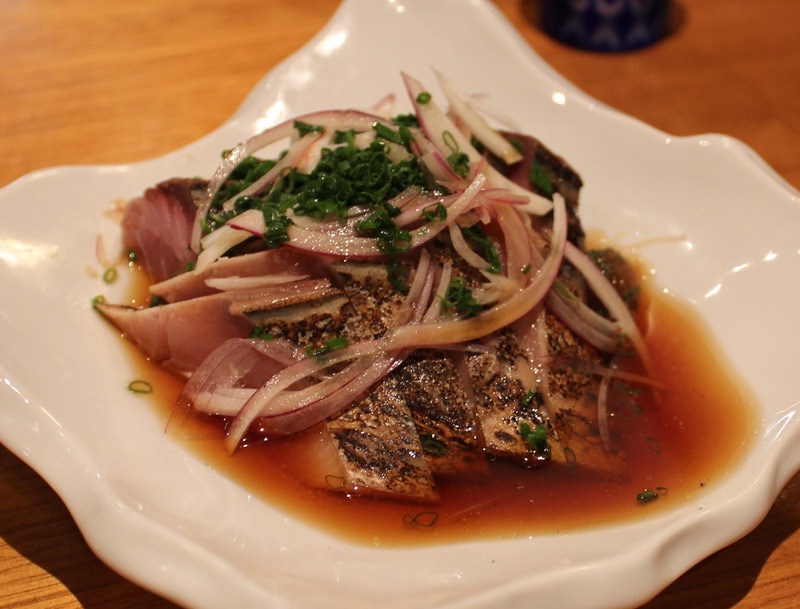 Bonito tataki seems like an interesting dish, curious how much this dish would cost. this place looks amazing! that aburi! I guess a careful presentation is a good indication that the place is authentically Japanese. This is in my hood, but I still haven't tried it out yet! The sushi looks amazing, must get around to it! Hello, I'm Abebee from instaram.